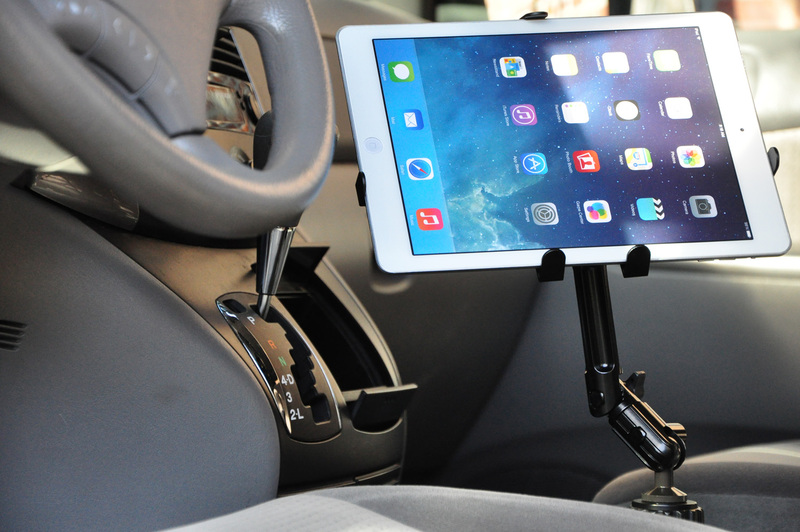 MCUP11 Universal Tablet Car Cup Hole Mount 360° Degree Rotation Heavy Duty Aluminum for iPad & Tablet 7" to 11"
MCUP11 is a high quality strong aluminum car cup hole tablet mount with an extra-firm arm which absorbs vehicle vibrations and provides a stable viewing platform. Fits Cup Holder Diameter up to: 3.5 inches. 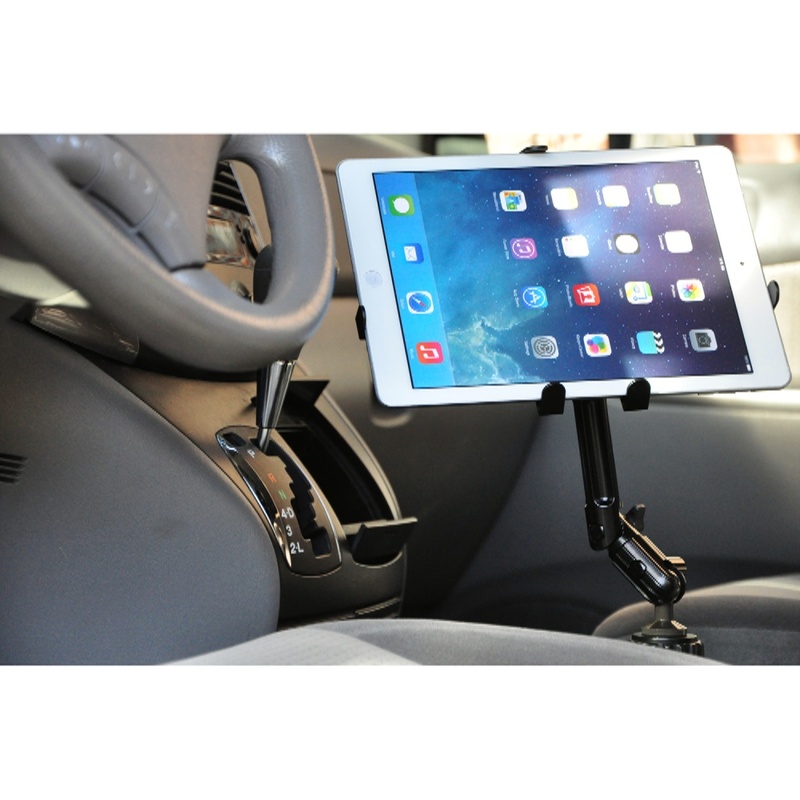 Tablet Holder Supports: 7 inch to 11 inch screen sized tablets. This is a universal mount, please check the device dimensions against the minimum and maximum width supported. Able to rotate 360 degree swivel spherical ball joint which enables ideal and proper viewing transition from portrait to landscape mode. 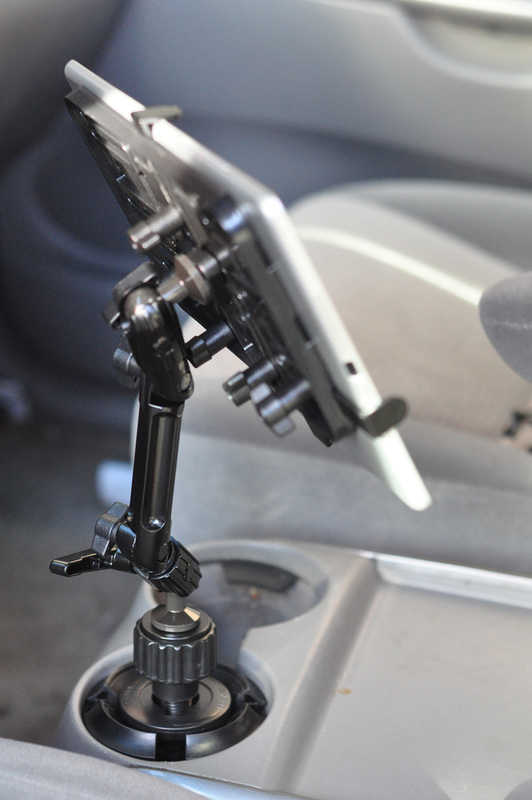 Easily and safely access which provides for optimal mounting solution while operating a vehicle. Expandable base fits most cars, automobiles, recreational vehicles, trucks and other vehicles with standard size round cup holders. Tool-less, simple, easy installation and removal in seconds. 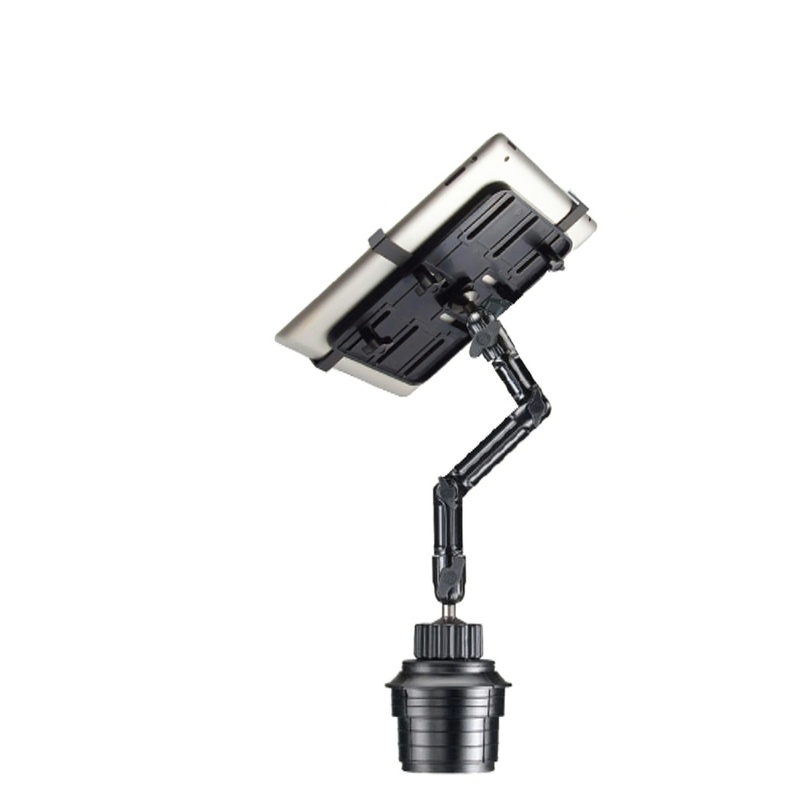 Super sturdy aluminum arm with solid construction which prevents shaking, keeps device steady and absorbs vibration which provides for stable viewing platform. 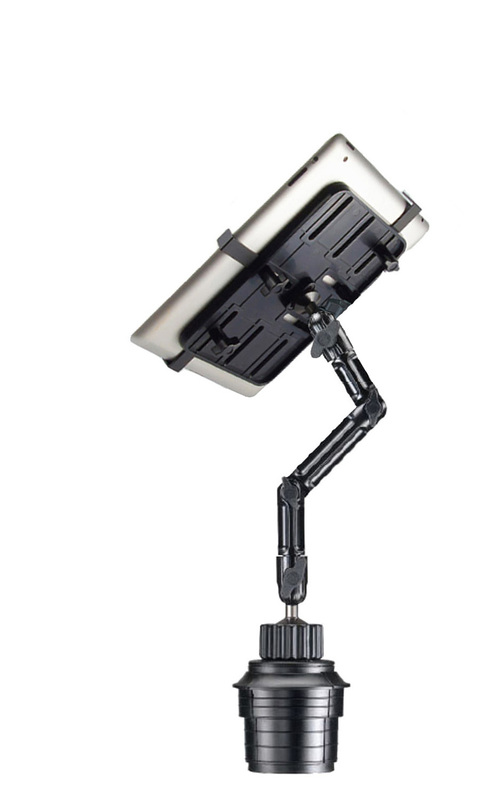 Adjustable extended arms for wider depth and longer length for flexibility. 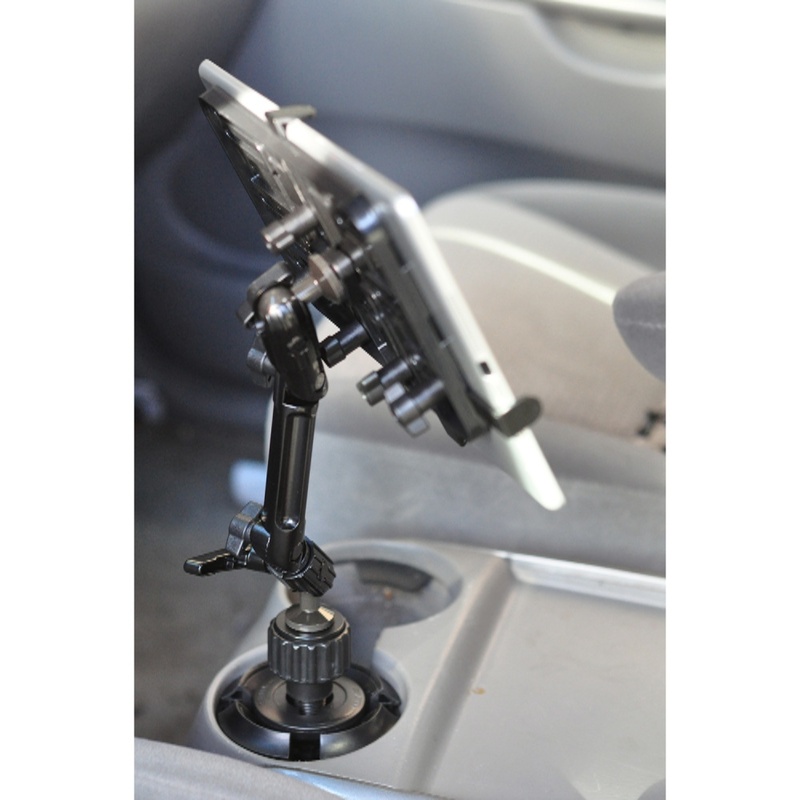 MCUP11-E4 is a 4 inch extension for the MCUP11 tablet car cup hole mount stand for higher position viewing and height. Extremely easy to add extension to mount. If you work in a vehicle, (truck, van, SUV, car) this extension is portable and can be put into laptop bag, book bag or pocket.